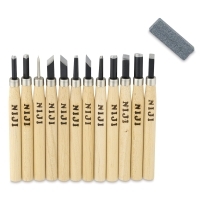 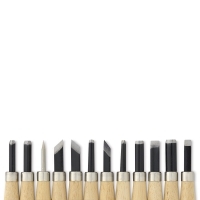 Designed to cut both hard and soft surfaces, the Yasutomo Niji Woodcarving Set includes 12 tools of various shapes and sizes. Every tool has a durable 4-1/2" long wood handle and a high-quality steel blade for cutting wood, linoleum blocks, even soap! 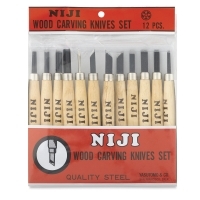 ® Yasutomo is a registered trademark.® Niji is a registered trademark.